Britain is becoming “dangerously complicit” in facilitating famine as a weapon in Saudi Arabia’s war against Yemen, it has been claimed. Academic Alex de Waal has joined former Tory minister Andrew Mitchell in warning the UK over its role. The Saudi-led coalition, armed by Britain amongst others, has been waging a deadly air campaign in Yemen since 2015, to support the government in its war against Houthi rebels. The fighting has killed more than 10,000 people, destroyed vital infrastructure, and triggered a cholera epidemic. 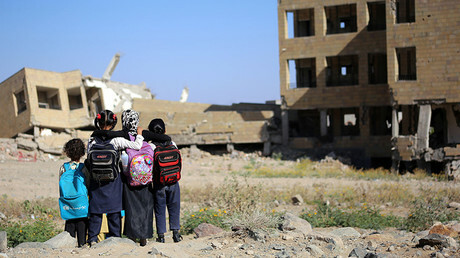 Earlier this month, the coalition closed all Yemen’s borders (land, sea and air), preventing vital humanitarian aid from reaching the war-ravaged nation. The UN called for the blockade to be lifted to prevent the deaths of thousands of people. De Waal, author of the influential book ‘Famine Crimes,’ has catalogued the famines that have killed 100,000 people or more since the 1870s. He concedes that Yemen was food insecure, mismanaged, and in economic crisis, but argues the people have reached the point of starvation as a result of the military campaign on both sides. His comments come just days after former Tory minister Andrew Mitchell said the UK is “directly promoting a famine and the collective punishment of an entire generation.” The ex-international development secretary warned of a human catastrophe “the likes of which we have not seen in decades,” according to the Guardian. 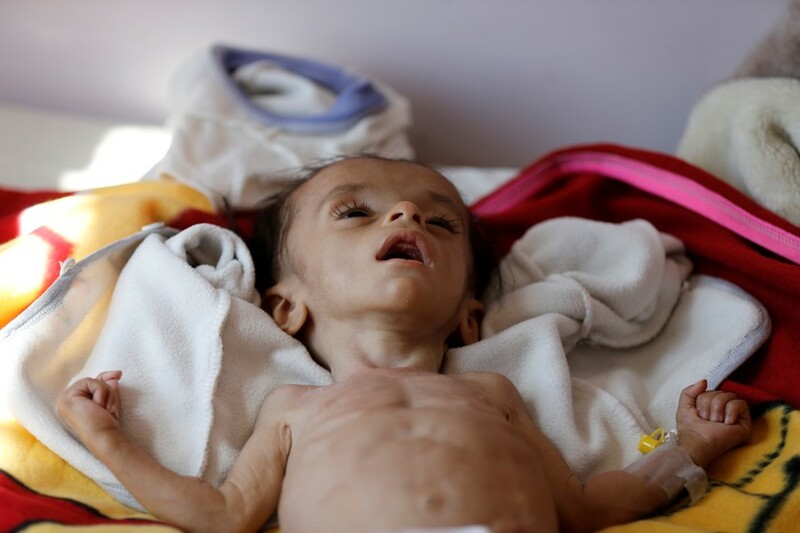 UN humanitarian agencies in Yemen are pleading with Saudi Arabia to permit the delivery of two urgently needed shipments of medicine and food aid blocked outside the port of Hodeidah, warning that the now-15-day Saudi-imposed blockade was endangering tens of thousands of lives. Antonio Guterres, the UN Secretary General, has dispatched officials to Riyadh to urge the Saudi government to lift the blockade so that humanitarian aid can pass through, but, as yet, no progress has been made. After international pressure, Riyadh lifted the blockade on southern ports, but retained the embargo on all Houthi-controlled ports in northern Yemen, including Hodeidah, through which 70 percent of aid has been transported.